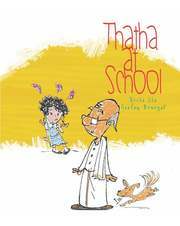 Thatha At School | GetLitt! It is Grandparents Day at school, and everyone is excited. 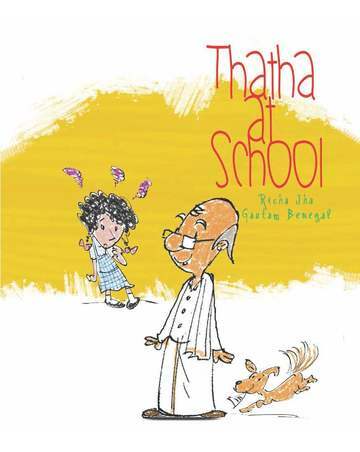 Not little Oviyam, who is embarrassed at the thought of her school mates seeing her grandfather Thatha in a dhoti, a traditional wrap-around lower. She tries her best to convince him to skip the event but he insists on attending. Will Oviyam rise above her insecurities and own up her dhoti-wearing Thatha in front of everyone? This book was really awesome, It talks about how you should respect our grandparents and not be ashamed of them or not be ashamed of anyone you know. The story conveys s simple yet most easily forgettable message of respecting our elders. And it portrays the unconditional love for our grandparents. 3.5 out of 5 and 0.5 extra for thatha's dhoti. I very interesting book. I loved it! This is a wonderful story that shows that even we as grandchildren are ashamed of some things they do as they are old fashioned and are not used to our modern way of life.However, in the end, we find out that they are the best as they are, so long as they love us, nothing else matters.